That Pegwarmers Anonymous group needs to come back. 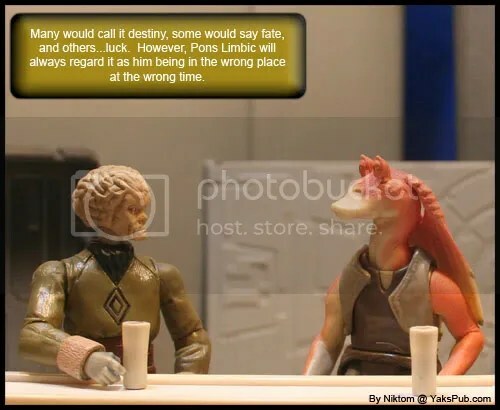 Pons doesnt look happy, and Jar Jar look like a dead fish i saw once. Ha ha…now you need to work in the Goofy-As-Jar-Jar figure from the Star Tours sets at Disneyland.